In this review we feature the best headphones from top brands including Sony, Audio-Technica, Bose, Skullcandy and more. These headphones are designed to deliver top-notch sound performance, with crystal clear highs, detailed midranges and very tight bass for a detailed listening experience. These headphones are built from premium quality materials which make them very comfortable and soft to wear on the ears; you can practically listen to these headphones for hours on end without feeling any ear fatigue. Furthermore, these headphones are designed to deliver high-fidelity and lifelike sound performance, allowing you to pick up every single detail in the music with pristine clarity and detail. They are designed for high-performance use and require a portable headphone amplifier to drive the headphone acoustic drivers. You can also crank up the volume on these headphones without hearing any distortion, which is definitely a good added plus. If you are looking for some of the best headphones on earth from top-rated brands, be sure to check out our top picks below! The Skullcandy Crushers are hands down one of the best headphones specially designed for bass heads. These headphones are designed to deliver a tonne of bass output together with adjustable haptic bass for you to fine tune your bass experience according to your musical preferences. The headphone utilizes dual driver immersion with full-range 40mm acoustic drivers and two additional subwoofer drivers to deliver impactful beats and crystal clear audio performance. The custom-tuned audio drivers provide rich and refined tones that complement the deep bass experience – it also comes with memory foam ear cups which provide a good noise isolating seal to block out external noises and enhance the bass. 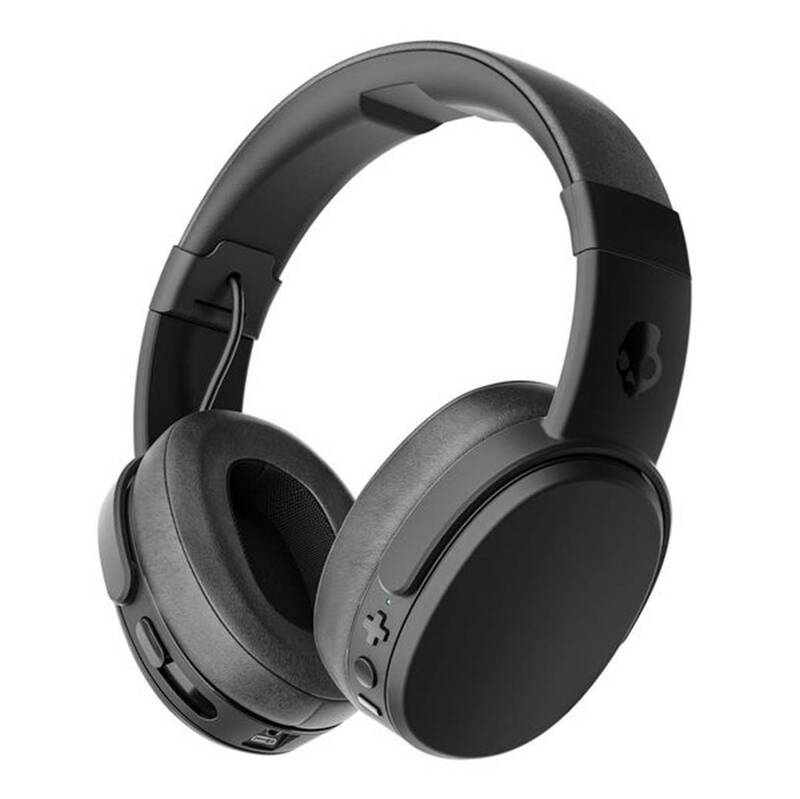 We liked the fact that the Skullcandy Crushers also support wireless Bluetooth streaming and have a battery life of up to 40 hours on a single charge which is really good. The headphone also comes with a built-in microphone and on-ear buttons for you to take hands free calls, adjust soundtracks and volume directly on your headphone. Overall, the Skullcandy Crushers are some of the best bass headphones that come highly recommended for bass lovers and those who enjoy listening to bass-heavy music genres. The Skullcandy Crushers are a vast improvement over its predecessors in terms of sound quality. They produce very clean sound with crystal clear details – the highs and midranges are very crisp, and vocals sound refined and sharp with good timbre ranges. Compared to the previous Skullcandy headphones, these headphones are able to handle the midrange and upper-frequency ranges really well with great clarity and a surprising amount of balance. The Skullcandy headphones also come with an adjustable bass feature that makes this a truly satisfying headphone for bass heads – when the bass is adjusted to maximum you get extremely powerful and deep bass response that can literally rattle your head. The bass on these headphones feels tight, impactful and solid with plenty of depth and no hint of muddiness or distortion. It does not produce the kind of bloated bass with other headphones – the bass stays exactly where it should be as bass. The Haptic bass feature is a really good way to adjust the bass according to your individual preferences. The Verdict? The Skullcandy Crushers are absolutely one of the best headphones you can find that delivers crisp highs, very clean midranges and a stunning amount of bass performance. It comes with a unique haptic bass feature that allows you to fine tune your bass experience according to your preferences. These headphones are definitely an improvement over the original Skullcandy headphones and deliver way more bass output than we expected – the bass hits hard and goes so low and deep that it can literally rattle your head. The bass feels tight with plenty of depth, and stays where it should be as bass without muddying into the midrange frequencies. 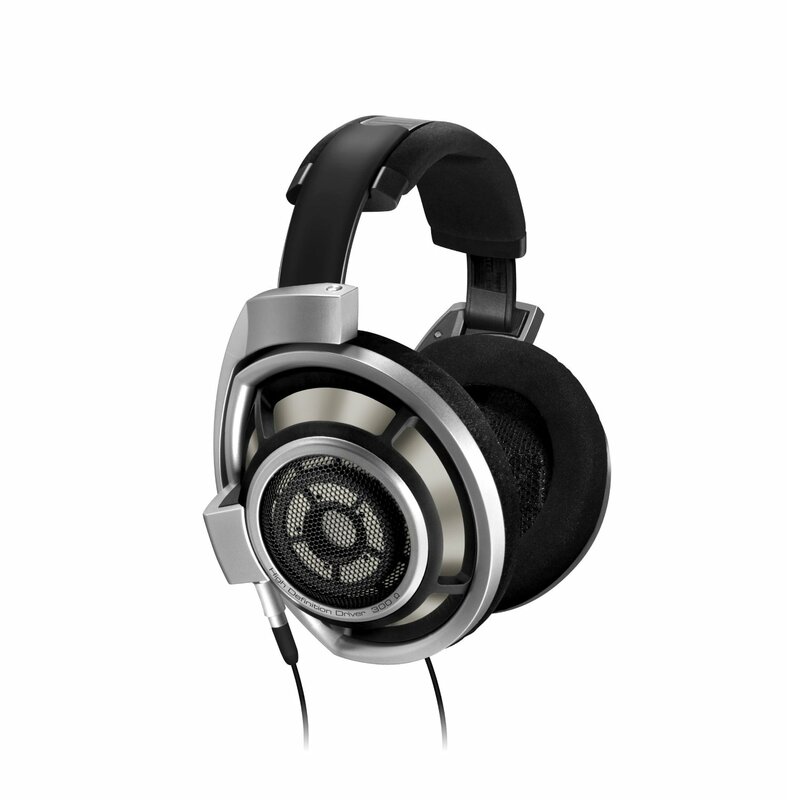 The Crushers produce very clean sound overall with crisp vocals and detailed midranges – music genres such as electronic dance music and rock will really shine with these headphones. The Crushers also feature Bluetooth wireless streaming with a 40 hour battery life and a built-in microphone for hands free calls. They also feature soft memory foam ear cups which feel really comfortable and provide a good noise isolating seal to block out external noises. If you are a bass head looking for one of the best headphones to get for ear thumping sound, the Skullcandy Crushers might be your best bet. The Audio-Technica ATH-M50x are some of the best headphones that are capable of producing some serious bass output and yet maintain a good balance in sound quality. These headphones pursue better sound quality and ergonomics, resulting in exceptional clarity throughout an extended frequency range, with deep bass response at the low end. The ATH-M50x are equipped with proprietary 45mm large-aperture drivers with rare earth magnets and copper-clad aluminium wire voice coils. The circumaural design around the ears provides good sound isolation in noisy environments, and is very comfortable to wear with their plush ear pads. If you are looking for some of the best headphones that can deliver deep bass and yet maintain a level of balance between the other frequencies, the ATH-M50x will definitely surpass your expectations with its high audio fidelity sound performance. The ATH-M50x produces very good exceptionally clear sound, and sounds best when connected to a portable DAC. That being said, we were generally impressed with the sound performance of these headphones when plugged into the iphone or Android output. The volume is great, the highs are present and not over exaggerated and sound true to the music. The bass sounds true and goes really deep; you can really hear the low end from these headphones but the bass does not get overpowering and flood into the mids. These headphones are really good at picking up the minute details in the music and sound best when input with high quality audio soundtracks. The ATH-M50x will expose flaws in bad recordings and low quality audio files will not sound as good on these headphones. They will literally expose the truth of the audio output of the device they are connected to. When we paired these headphones to the FiiO E17 headphone amp, we were quite blown away by the sound performance. The music sounded clean, detailed, crisp and clear, with vocals coming to live and the low end visibly present. The mids were nice and smooth, while the highs did sound harsh at all but rather crisp. These headphones can get very loud and the sound does not distort at low or high volumes. It stays true to the sound of the music and the quality of the music production is top-notch. These best bass headphones are also very comfortable to wear. They feel great when worn over the head and the plush ear cups feel nice and comfy over the ears. The length of the headband can be adjusted depending on your headsize. It takes a couple of hours of continuous listening and wear these over your head before you start to feel a hint of ear fatigue. The headphone is also designed with a 90 degree swivelling earcups for portability and comes with a nice sturdy casing. As these are closed-back headphones, the sound does not leak until you go past the 50% volume; if you are in a room or library, having 50% volume is loud enough and no one would be able to hear you. The Verdict? The Audio-Technica ATH-M50x are some of the best headphones that produce amazing sound quality for a decent price. They have a very good balance between the highs and mids, and produce deep low ends making them especially good to listen to for electronica, pop or rock genres. These best bass headphones perform best when combined with a portable headphone amp for extra power – they are highly sensitive to the music source and will expose any flaws in bad recordings, so be sure to feed these headphones with high quality soundtracks. 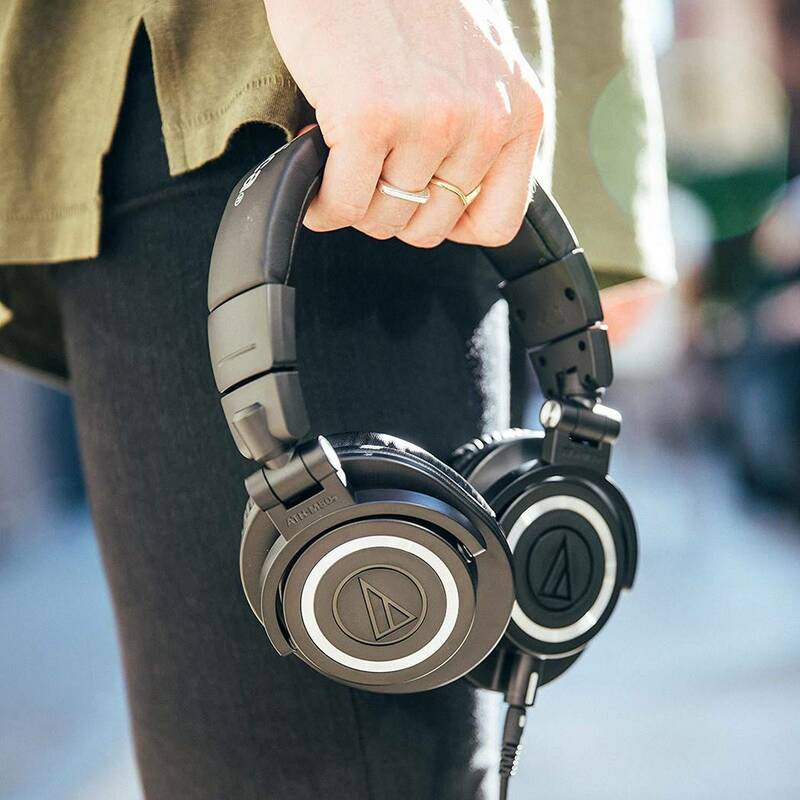 We were blown away by the audio quality and fidelity to the original sound recording of the ATH-50x, making our music come alive with great precision and sound separation. If you like a good balance between a bass-leaning headphone and clarity and detail in the highs and mids, these are some of the best headphones to get. The Marshall Major III is one of the best headphones that bring together the company’s 50 years of experience in audio research. The Major 2 uses the Bluetooth aptX technology which ensures good wireless performance and has an impressive battery life of over 30 hours of play time on a single charge. It features a convenient analogue controller which allows for adjusting volume and play settings, as well as answering, rejecting and ending phone calls. The built-in microphone allows for the headphones to become a convenient hands-free headset while maintaining a high sound quality. The Major III is ideal for remote usage because of the collapsible design that allows for easy storage and transportation, the padded earcups and headband enable the headphones to be used for long periods of time and the lightweight design which helps reduce strain for users. The headphones also have an auxiliary audio port for wired use that enables the headphones to be used when the battery runs out. It comes with custom-tuned 40 mm dynamic drivers which provide full-range sound reproduction. Overall, the Marshall Major III is one of the best headphones we have come across and is a great choice for music listening. The Verdict? 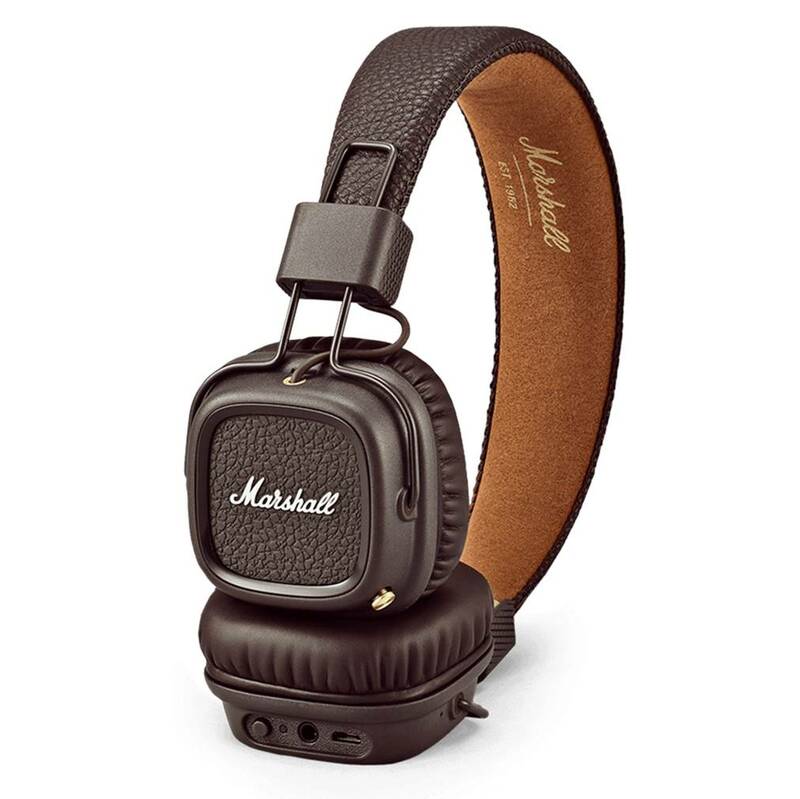 The Marshall Major III are some of the best headphones that provide full-range sound performance. The designers from Marshall have definitely put in a lot of work in creating a very well-balanced, well-performing pair of wireless headphones. With their experience in creating high quality amplifiers, the sound of the Major III is of very high quality, satisfying both audio connoisseurs and amateurs. They have a very good response across the frequency spectrum, bringing out details in music with a lot of clarity. Another strong point of the Marshall Major III is the extremely long lasting battery life of up to 30 hours of audio playback. This feature would make them a favourite across travellers and people who need to use headphones for long periods of time without too many opportunities of recharging. The Bluetooth technology used by the headphones is very well implemented, having no latency or signal loss issues. This makes them ideal for watching videos as there will be no audio/video synchronization issues. The Major III are very comfortable and also feature a convenient collapsible design with only makes them easier to transport and store. 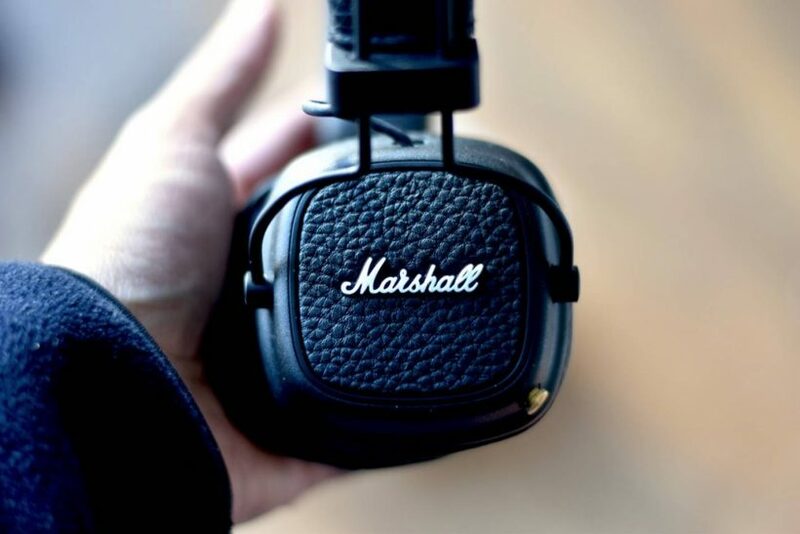 Overall, the Marshall Major III are some of the best headphones and we highly recommend them. The MPOW Thor are some of the best headphones that provide quality sound performance and a portable design. They are equipped with two 40 mm large-aperture driver units and CSR chip that enable the headphones to have minimal latency, immediate transmission, and maintain high quality sound. The MPOW Thor are designed for comfort, with a soft memory foam padding around the headband and the ear pads are wrapped around protein leather to simulate human skin texture. They are very lightweight and have a retractable headband to fit anyone. The headphone has a collapsible design that can fold them down into a compact form ideal for travelling and storing. The portability of the headphones is further enhanced by the extended battery life, lasting up to 8 hours of music playing and reaching full charge in 2 to 3 hours. Another good feature of those headphones is that the MPOW Thor has an audio port that can enable the user to keep playing music after the battery runs out. It is easy to make hands free phone calls with the MPOW Thor as it is equipped with a built in microphone, having the option of answering from 10 metres away. 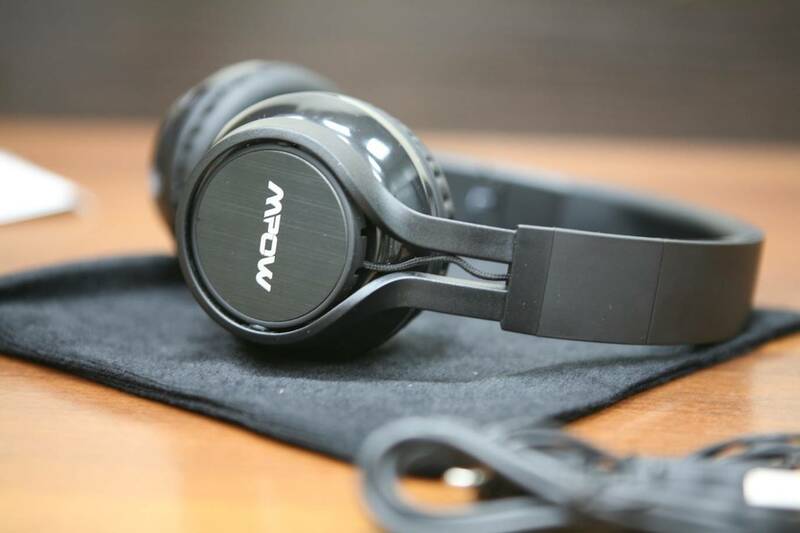 Overall, the MPOW Thor are some of the best headphones and are a great choice for music lovers. 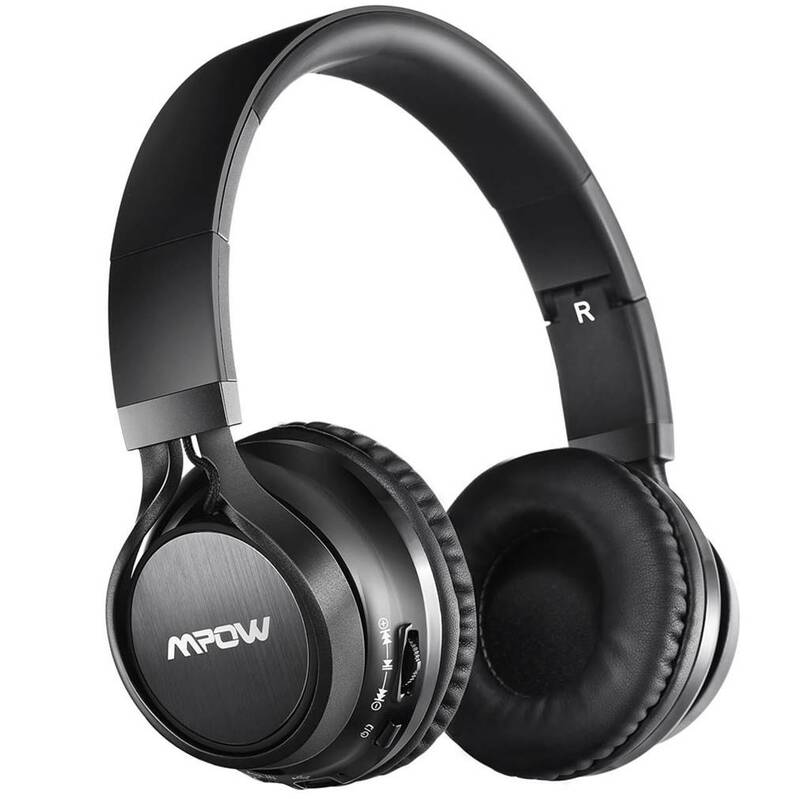 The MPOW Thor on-ear headphones deliver crystal clear sound quality over wireless Bluetooth. Frequency wise, they project less bass than other higher price headphones, which is to be expected, so they might not be the best for listening to modern, bass-heavy music. But while EDM and hip-hop fans might be disappointed, those headphones could be real a real asset to people who are listening to jazz, country, orchestral, and music from earlier decades such as 50’s, 60’s and 70’s music. The mids and highs are crispy and sounding good overall. The closed back design of the headphones, like with most wireless headphones, project the sound directly into the listener’s ears so the presence is articulated nicely and all details from the recording are represented clearly. Vocal performances and instrumental music sounded particularly crisp and clear. The headphones isolate fairly well outside noises and the volume output is enough to cover noisy environments. Those features enhance the overall sound performance of the Thor headphones and delivers crystal clear clarity. The MPOW Thor headphones are highly portable and easy to carry around with you while travelling. They are comfortable, with good padding on the ear pads and an adjustable headband. They are also foldable and extremely lightweight, having only 185 g which makes them even better for transporting in a convenient way. The MPOW Thor renders high quality audio with the 40 mm drivers that provide a good, balanced sound. They have an average battery life of 8 hours of playtime, reaching full charge in 2 to 3 hours. The Bluetooth connection is reliable and poses little to no transmission delay which is ideal for watching videos and having the audio and video synchronised. If the Bluetooth connection is not available or if the headphone battery runs out, the MPOW Thor also have a backup auxiliary 3.5 mm TRRS jack input to connect to any analogue output. The port is also used for turning the headphones into a headset with a microphone and 3 button controllers which gives the user the option of doing hands-free calls easily at any time. The Verdict? The MPOW Thor are some of the best headphones with crystal clear sound performance and a lightweight comfortable design. These are a great pair of headphones for anybody who needs an all-rounder; the Thor headphones deliver good sound quality and listening comfort for extended use. They have a wide frequency response and are great for classical and vocal performances with crystal clear ranges. Their collapsible design makes them portable and easy to store. The MPW Thor also performs very well at rendering high quality audio with their 40 mm drivers that provide balanced and powerful sound. It comes with reliable Bluetooth connectivity which transmits the audio signal with no losses and minimal latency. The headphones can also be used as a high quality headset, providing clear voice calls with convenient controls. Overall, the MPOW Thor are some of the best headphones we have tested and we highly recommend them. The HIFIMAN HE-400I is one of the best headphones with a massive diaphragm designed for excellent transient response and quality sound. These headphones are made for audiophiles looking for high-performance listening at home or for studio recording – it can deliver extremely clear sound quality with very responsive transience. It comes with a massive diaphragm that allows high signal input and flexible bass and treble response – it also delivers very fast response time due to the lightweight diaphragm design. The wide diaphragm provides evenly distributed magnetic force for low distortion and reproduction of live sound, and provides lifelike sound performance with realistic soundstage. 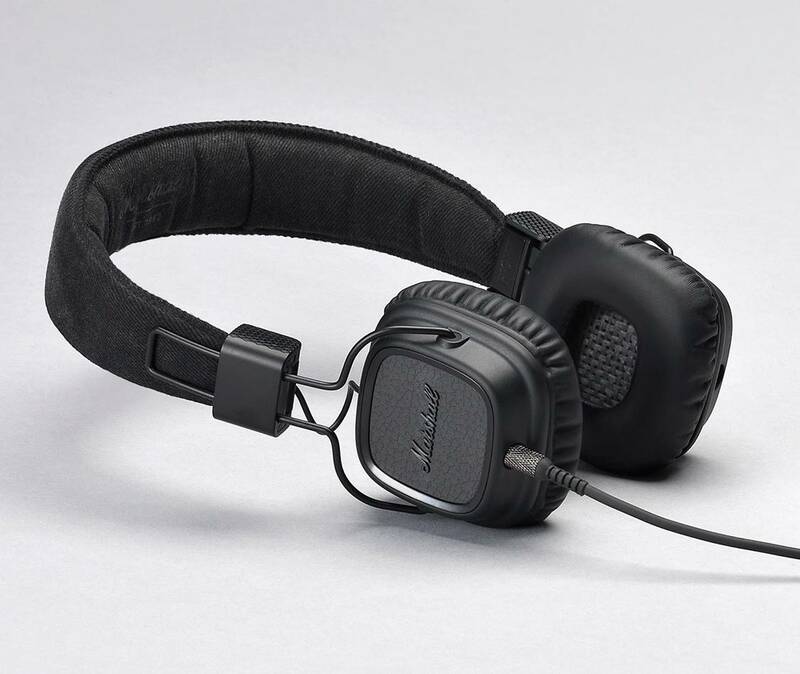 The HE-400 has ABS polymer ear cups in a gloss charcoal finish which gives it a contemporary appearance, and has an improved pressure pattern designed to provide great comfort. We also liked the fact that the HE-400I comes with specially designed bevelled ear pads made of pleather and velour which provide a comfortable listening experience with good sound isolation. Overall, the HE-400Is are undoubtedly one of the best headphones you can find on the market and we highly recommend them. The Verdict? If you are looking for one of the best headphones with great transience and lifelike sound quality, the HE-400I comes highly recommended. It is a headphone designed for audiophiles who want to listen to music recordings exactly as the artist intended – it delivers a vibrant sound signature with great emphasis on accuracy and detail. Listening to these headphones sounded as though we were sitting inside a music orchestra and provides good detailed separation on both sides – you can pick up details in the music which you might not have noticed before. It delivers highly accuracy and superb frequency response and transience, which makes the music sound very smooth with plenty of detail and imaging. Furthermore, these headphones are very comfortable to wear and are designed to be 30% lighter than comparable headphones. It also comes with a newly-designed headband with an improved pressure pattern to reduce long-term fatigue. Overall, the HE-400i are some of the best headphones you can find that delivers pure audiophile performance and we definitely recommend them for headphone enthusiasts who prefer a pure sound signature. 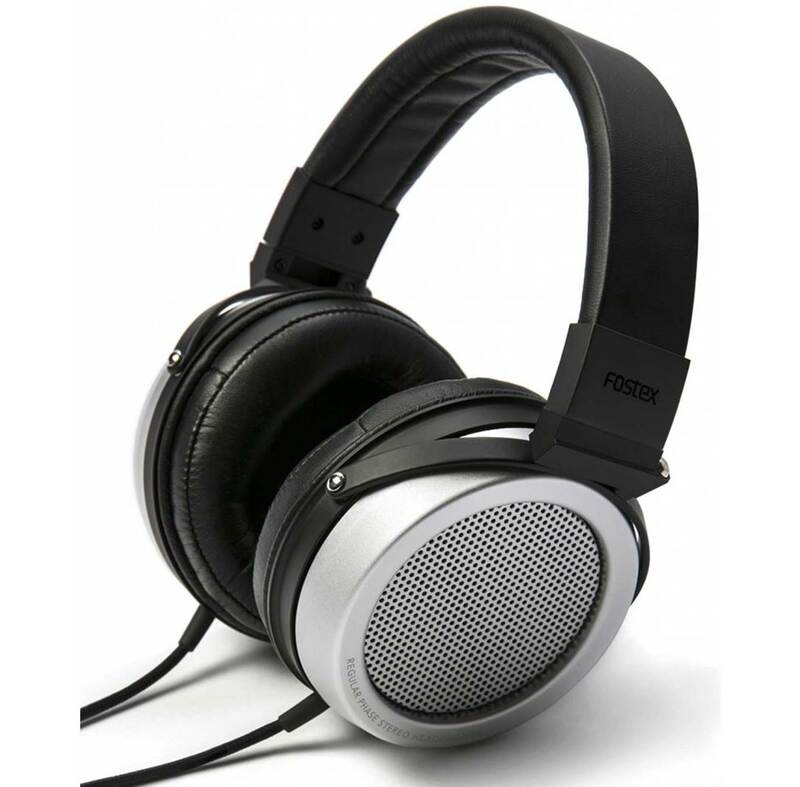 The Fostex TH-500RP are some of the best headphones developed with a regular phase diaphragm for high-resolution sound. These headphones combine regular phase technology with a large TH-900 diaphragm to deliver crisp highs, rich midrange tones and good low bass reproduction. The regular phase diaphragm consists of etched copper foil on the surface with high heat resistant polyimide film as the base material. This high specific gravity baffle plate creates high resolution sound with solid midranges and reduces unwanted resonance and distortion. The headphones also come with an aluminium and magnesium structure which provides a lightweight quality construction; it comes with soft leather ear pads that provide a comfortable wearing experience for long periods of time. The TH-500RP also comes with gold-plated ¼ inch plug used on the HiFC connection cable which provides sonic purity and excellent conductivity. We also liked the fact that the manufacturers provide a leather-texture carrying pouch for protection during transportation. If you are looking for one of the best headphones that can provide spacious and full-range sound quality, the Fostex TH-500RP comes highly recommended. The Verdict? The Fostex TH-500RP are hands down some of the best headphones that provide good transience and spatial clarity. The headphone uses a specially developed regular phase diaphragm that provides high resolution sound quality with rich highs, detailed midranges and nice bass reproduction. The sound from these headphones is very crisp and has an airiness and level of spaciousness that makes the music sound lifelike. Vocal performances and instrumental music performances sounded very clear and well-defined, with great attention to detail and harmonization. We also liked the fact that the headphones are relatively lightweight and come with soft ear padding which provides extended comfort for prolonged wearing. 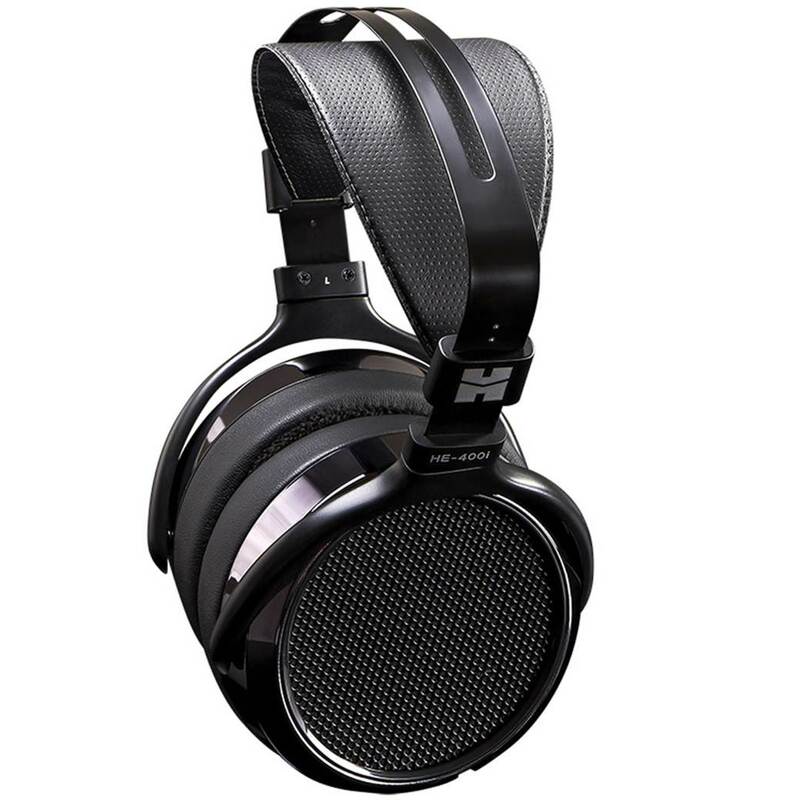 You can also crank up the volume on the TH-500RP headphones without hearing any distortion which is a great added plus. Our only quibble with these headphones is that it does not come with a detachable cable which may cause portability issues. Overall, the Fostex TH-500RP are one of the best headphones that provide superior full-range and spacious sound quality, and we definitely recommend them. 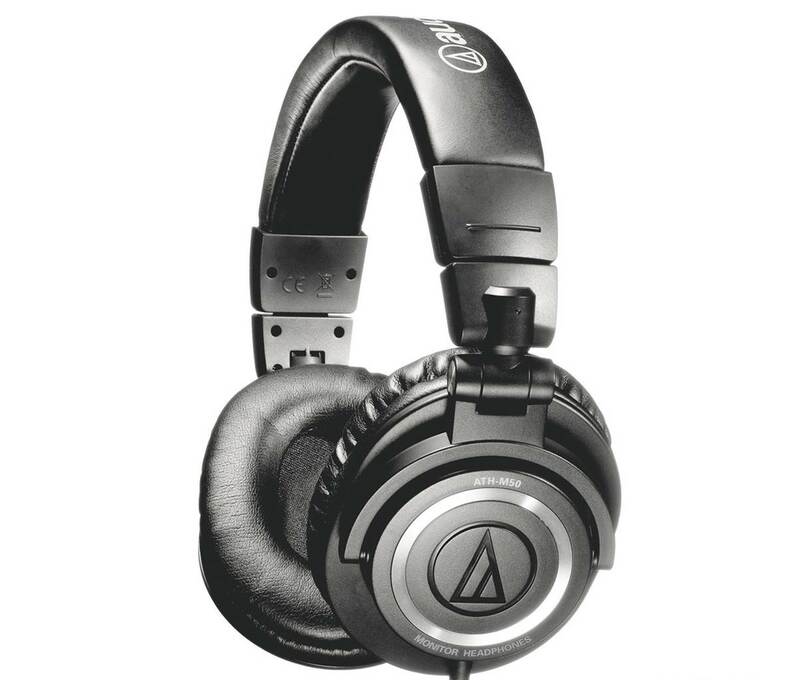 The Audio Technica ATH-S700BT is one of the best headphones you can find that delivers very good value for money. These headphones feature 40 mm drivers for very good sound reproduction and efficient signal transfer. The housings are designed with an acoustic chamber that’s separate from the electronics to maximize driver performance; it also comes with an in-built amplifier to boot. The ATH-S700BT offers clear, full-bodied audio reproduction with Bluetooth wireless operation. The headphones are equipped with a mic, music and volume controls allowing you to answer calls, adjust volume and handle playback. These headphones can pair up to eight bluetooth wireless devices, and a 1.2 meter smartphone cable with mic and controls is also provided for auxillary input. We found the over ear design very comfortable, and the ear cups fit nice and snug. The material feels soft and super comfortable to wear, and you can literally wear these for hours long without any giddiness. These headphones are very light with a large over ear cup design. The audio performance of the ATH-S700BT makes these headphones truly formidable. They sound remarkably good for a bluetooth headset – we tested these headphones alongside Bose Quiet Comfort, Beyerdynamic, Audio Technical (AD900) and Sennheiser, and found the ATH-S700BT’s performance to be equal to their more expensive counterparts. The sound from these headphones are punchy but not middy and are bright. They have just enough mids and do not overpower. It has a very warm and balanced sound signature. We were truly impressed by the ATH-S700BT and can safely say that they are among the very best sounding bluetooth cans we have tested. Furthermore, these cans do have the acoustic capability of being very loud at maximum volume. The bass quality is very pleasant and does not overpower the treble or highs; it evens reverbs at very low ends which is quite surprising; these headphones feel like they are wired and hooked up to a standalone amplifier. In terms of sound performance, you truly cannot go wrong with these headphones. The Verdict? The ATH-S700BT are a truly stunning set of cans and one of the best headphones you can buy with amazing sound performance at a low price. The comfort on these headphones is stop notch and you will not feel any pain wearing these for extended periods of time while watching movies or gaming. We were totally blown away by the sound performance of these headphones and definitely recommend these to anyone looking for a great pair of over ear headphones without the high price tag. At the time of writing, these are some of the best headphones available with pristine sound quality, so be sure to check them out! The V-MODA Crossfade is hands down one of the best headphones as far as design and sound performance are concerned. It comes with its signature sound both in wireless mode via Bluetooth and wired mode for pure analog and zero latency essential for gamers and audiophiles. These cans have an amazing playtime of 12 hours with its lithium ion battery and you can recharge it to 100% using the micro USB cable included in the package, or enjoy unlimited hours of music in analog wired mode. The dual-diaphragm 50mm driver provides very good speaker consistency, balanced air-flow and mechanics that make these cans sound amazing. 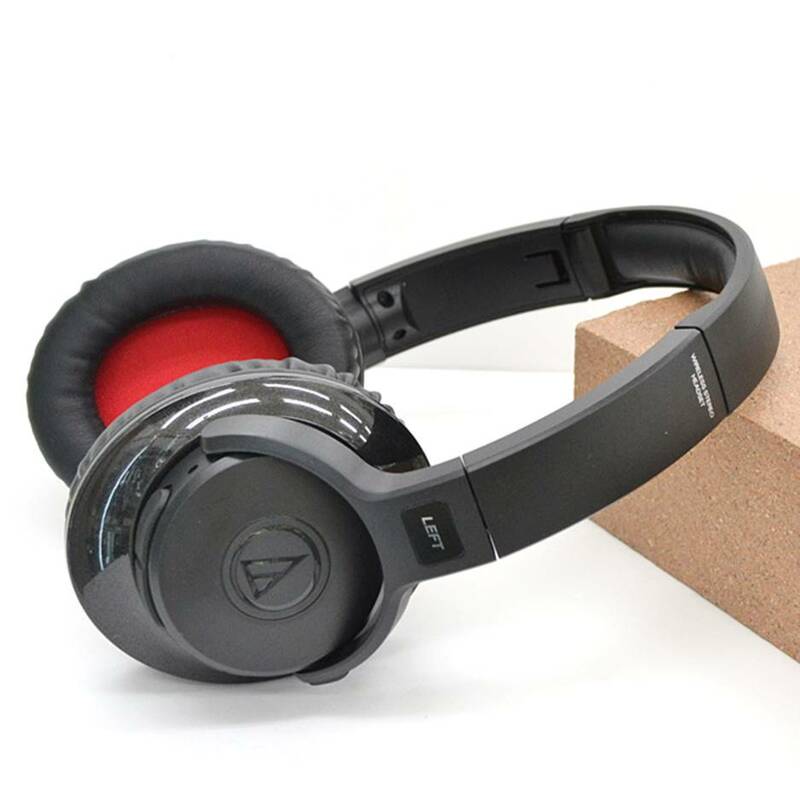 It even includes a luxurious combination of steel and new vegan leather, memory foam cushions and sturdy headband that provides that extra comfort for extended listening sessions and natural noise isolation. They are some of the very best headphones we have listened to and highly recommend them. The Verdict? The V-MODA Crossfade are a stunning set of headphones that deliver musical, detailed, natural and excellent sound that any audiophile will enjoy. The fact that these headphones are wireless is incredible icing on the cake. These headphones do not compromise on sound quality even on NFC bluetooth pairing, so you enjoy the best of your soundtracks at the convenience of your mobile device. Most importantly, these best over ear bluetooth headphones are selling at an amazing price point – V-MODA did not boost up the price for its additional bluetooth capabilities. 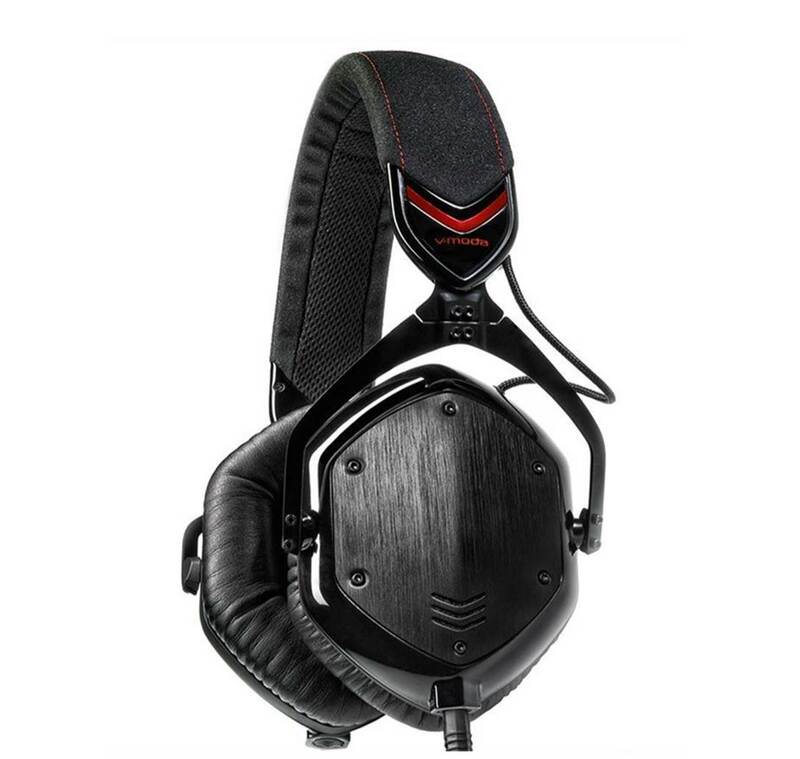 The over ear design is extremely comfortable and you can use the XL earcups for more comfort if needed. In sum, these are easily among the best headphones we have listened and tested and work great for every kind of music you can throw at it, although they sound even better for modern, rock, rap, hip hop, electronic types of music. When we first reviewed the Sennheiser HD 800s we were extremely impressed by the sound performance and the level of clarity the HD 800s can take your music up to. 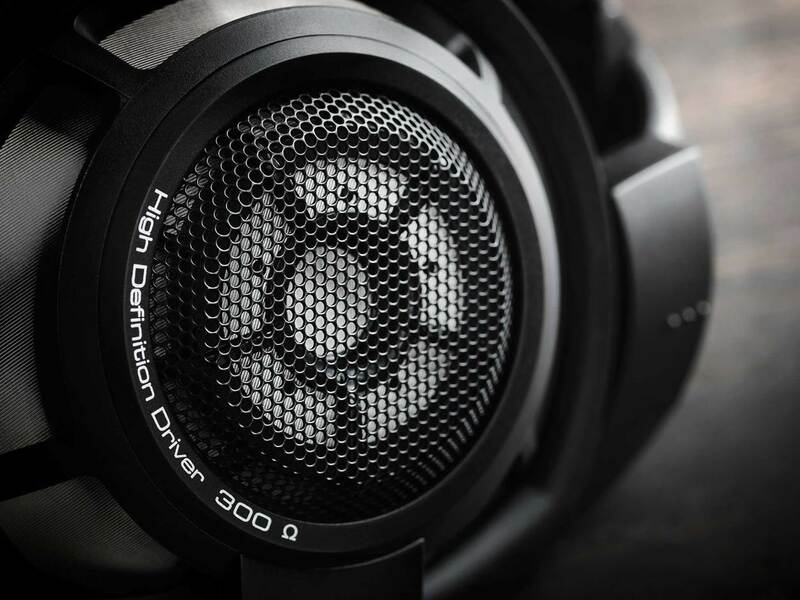 The HD 800 uses a patented ring radiator transducer to deliver exceptional sound performance together with 56mm drivers – which are by far one of the largest used for headphones. It also comes with its own dedicated 40mm aluminium voice coil with a 42mm magnet structure for crisp highs and excellent vocals. The transducers have two contact points at the inside and the outside of the ring for better sound control. The HD 800s are open back headphones which help to deliver a level of spaciousness and clarity with full details and dynamic sound reproduction. The transducers are also angled forward to deliver a wide and open spatial presentation which allows you to feel as though you are sitting in a live studio or concert hall enjoying the full orchestra or concert in real life. 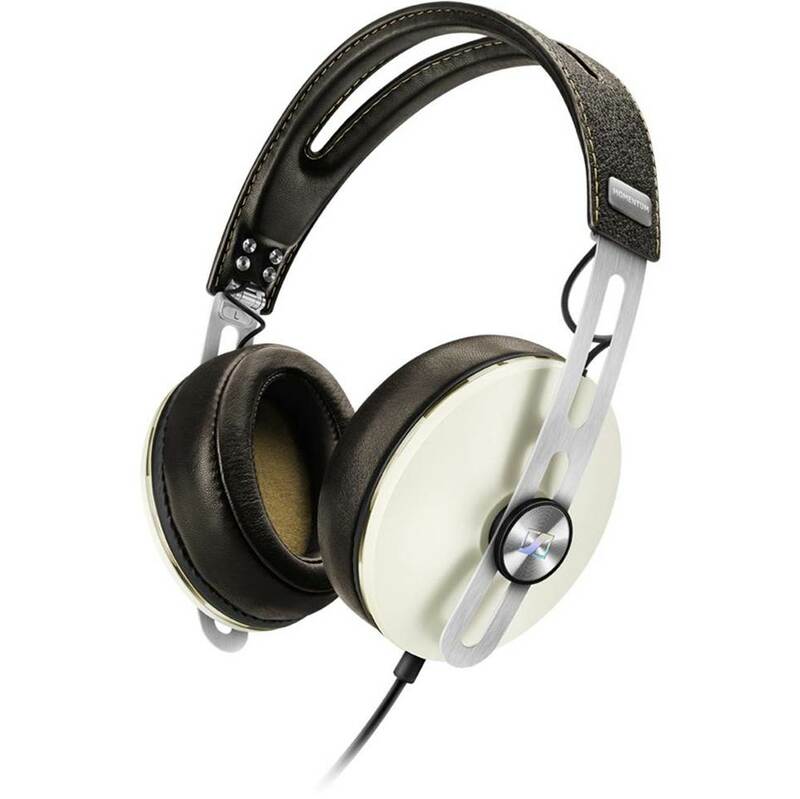 These headphones are manufactured in Germany with quality components and feel very luxurious. Overall, the Sennheiser HD 800s are hands down some of the best headphones we have tested and are definitely worth checking out. The Verdict? The Sennheiser HD 800s are no doubt some of the best headphones in the market delivering rich and full sound quality with its massive 56mm drivers. We would say that the HD 800s are best suited for those looking for depth and sound clarity – the spatial imaging and separation that you get with the HD 800s are simply on another level. The highs and midranges are fully reproduced without any distortion at maximum volume levels and you get really clean and distortion-free sound. The soundstage feels extremely realistic as though you are transported into a live concert hall. The headphones are open-back headphones and do suffer from some of the downsides of an open-back design such as less bass response, although they do arguably well on the lower-midrange frequencies. The HD 800s definitely require a good headphone amplifier to drive them, as well as good quality audio source to really allow these headphones to shine and pick up the subtle details in the music which you might not have noticed before. Overall, the HD 800s are definitely one of our favorites and best headphones that you should definitely try out for high-end listening. Sonically speaking, it is difficult to find a one-size fits all type of headphone because everyone has different listening profiles and preferences. The Nuraphone headphones provides a unique solution by adapting the sound output according to your ear structure to optimize your listening experience – it even remembers and stores your listening profile in the headphone through the app. For audiophiles, this means that you will get the best listening experience that is optimized for your ears through the Nuraphone headphones. 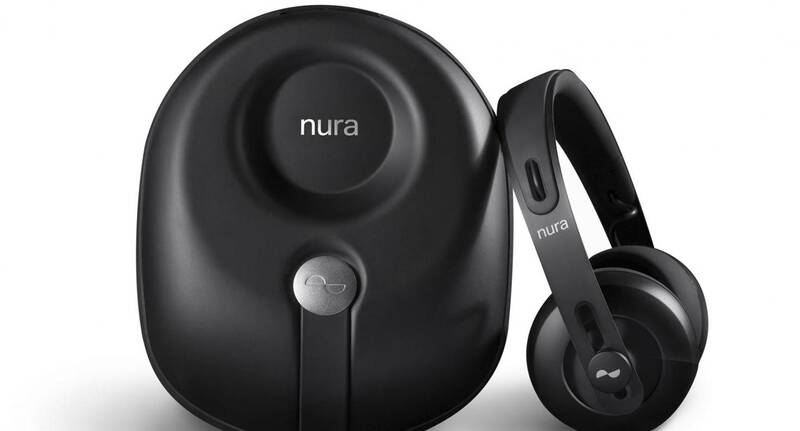 If you are looking for one of the best headphones with fully customizable sound, the Nuraphones are a great choice. The Verdict? 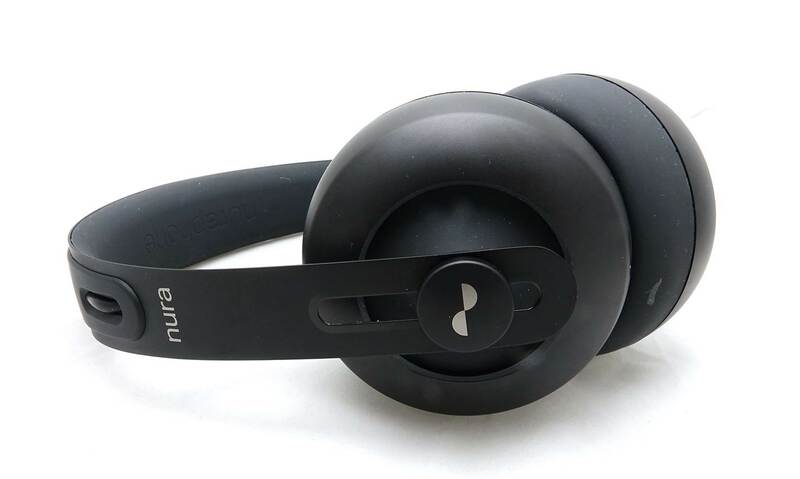 The Nuraphone are some of the best headphones that provide adaptive sound performance and a personalized listening experience. These high-end headphones are engineered to learn your hearing profile using a built-in sensitive microphone and provide optimal listening sound performance. We were very impressed by how good these headphones sounded when using the personalized mode – the sound quality sounded fuller, richer and much more spacious with greater attention to detail. The bass impact that we got from the headphones is deep and impactful and really provides an immersive sonic listening experience. Bass-heavy music genres such as electronic dance music and rock and hip-hop sounded especially vibrant through these headphones and enjoyable to listen to. It also has a unique active cooling function that draws in cool air through the bottom of the cup to keep your ears comfortable and cool. It comes with a built-in battery that delivers 20 hours of continuous music playtime and 6 microphones for voice call support. Overall, the Nuraphone is one of the few best headphones for high-end listening that we definitely recommend if you want a uniquely personalized listening experience with deep bass. 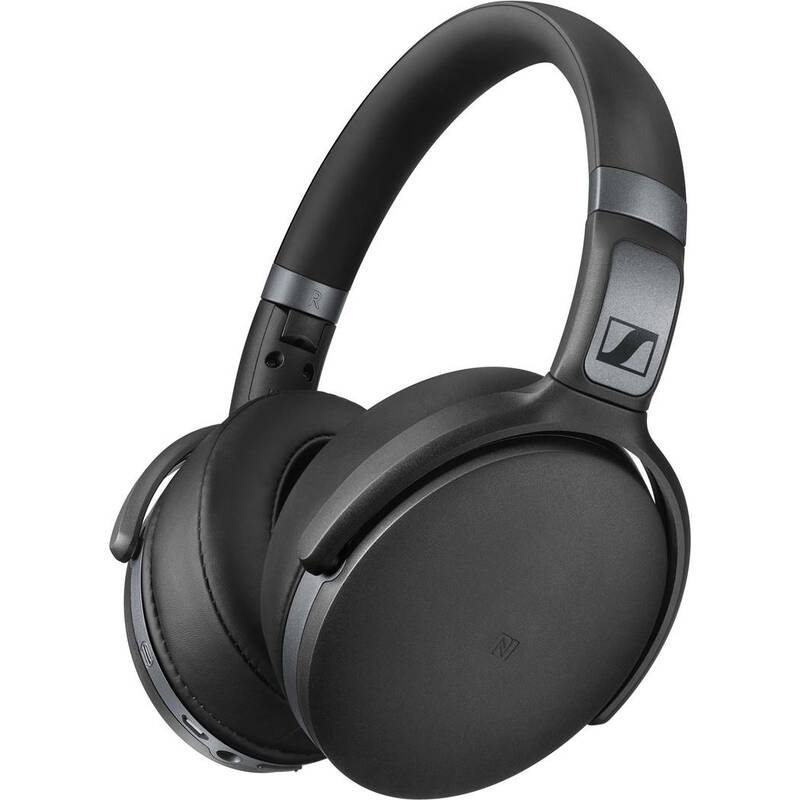 The Sennheiser Momentum 2.0 are a pair of closed back, over-ear design headphones featuring Bluetooth technology and immediate pairing to smart devices using NFC connectivity for wireless freedom. The Noise Gard hybrid active noise cancellation blocks ambient noise using 4 microphones for enhanced isolation to improve sound quality in noisy environments. The sound quality from the Momentum 2.0 is excellent and very well balanced with moderately enhanced bass. Simply put, the Momentum 2.0 is quite simply one of the best noise cancelling headphones ever built by Sennheiser. Overall, the Sennheiser Momentum 2.0 are some of the best headphones you can find that deliver a pure and neutral sound signature and we highly recommend them. The Verdict? 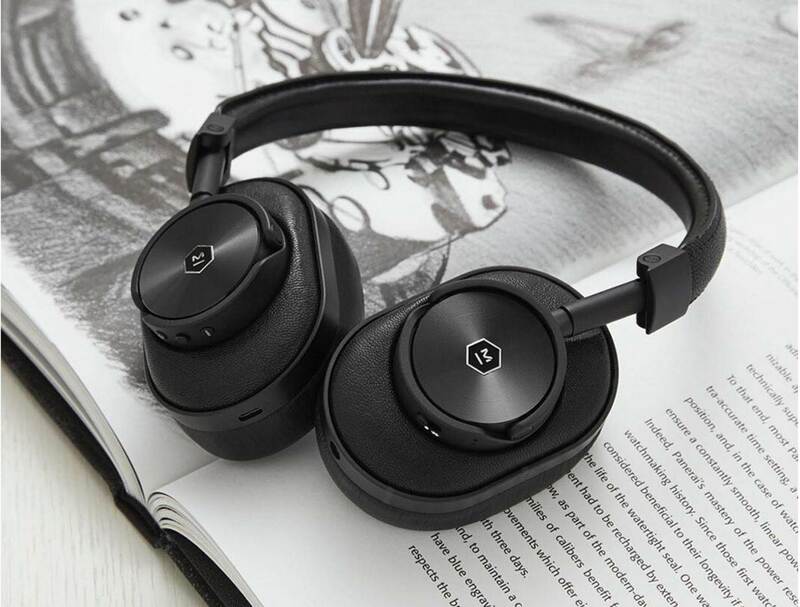 The Momentum 2.0 has a very high quality build and comfortable fit, convenience of foldable design, latest Bluetooth with aptX support and NFC pairing, and also a remarkable 22hrs of battery life with very capable Active Noise Cancellation technology. Coupled with superb audio performance, the Momentum 2 is easily one of the best noise cancelling headphones out there with great value as an all in one package. If you have the chance to get one of these noise cancelling headphones, the Momentum 2.0 is definitely a great investment and we highly recommend them. For fans of Denon, the AG-GC20 is probably one of the most powerful and best headphones in its category. 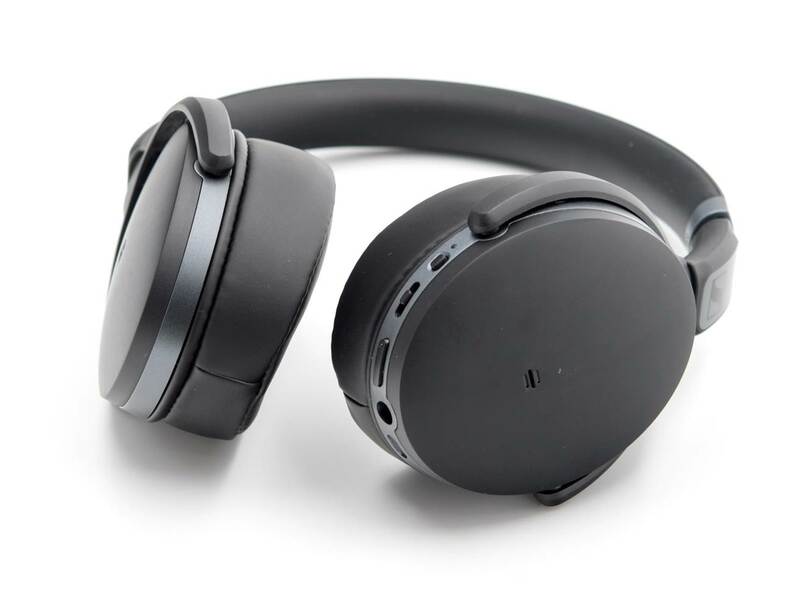 These headphones are essentially wireless, noise cancelling, over-ear headphones that offer the latest NFC Bluetooth technology and Advanced Audio Coding (ACC). It also features Denon’s proprietary active noise cancellation system, which can reduce ambient noise by 99% in a noisy environment. It is also equipped with dual microphones on each ear cup to deliver excellent voice clarity when making and receiving phone calls. 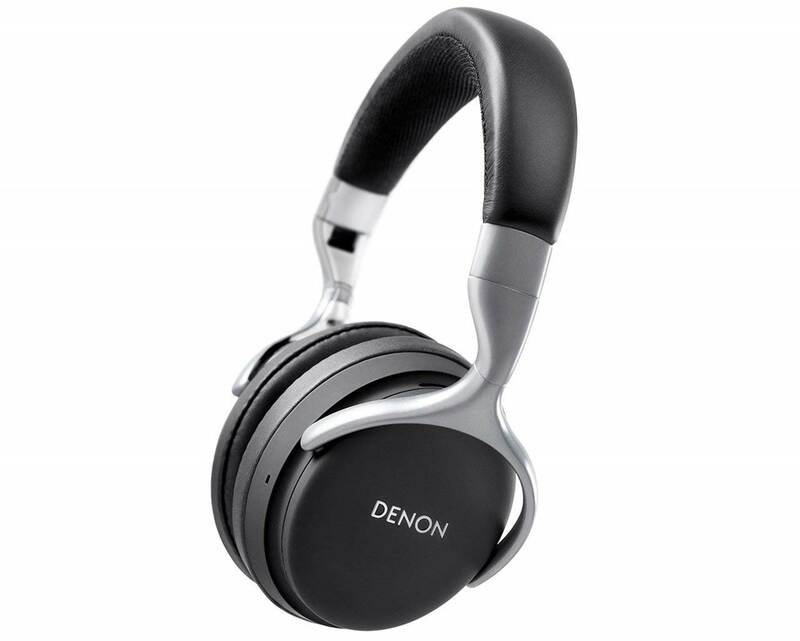 All in all, it’s one of best headphones made by Denon that is definitely worth considering. Denon really put a lot of thought into designing the AG-GC20s – the elegant and contemporary European styling makes the AH-GC20s look well-built and sturdy. The headphones feature soft memory foam ear pads that provide extremely comfortable fit along with additional passive noise reduction when the noise cancellation is turned off. It is also equipped with the latest aptX wireless technologies, including aptX Low Latency and CVC (Clear Voice Capture). When we first tested the AG-GC20s, we found that when playing music wirelessly using Bluetooth, the sound quality is quite good and very listenable, but it does improve when using the included cable, especially in the highs. We noticed a bit clearer vocal presence and musical instrument dynamics when using the cable instead of Bluetooth, although being completely wireless is certainly more convenient. The overall sound quality is outstanding with a definite increased bass extension and more soundstage. When you play music via Bluetooth, the sound gets a bit more mellow with slightly rolled off highs. That said, there are a bit more details and sound stage when using the cable. Pairing the AG-GC20s with Bluetooth devices was simple and easy. When using these via Bluetooth, you can use the play/pause and forward and back buttons located directly on the headphone right ear cup to control your smartphone. There is also a phone button on the left ear cup. Since these headphones include a microphone, you can use it to make and receive calls wirelessly as well. What’s really cool about using these wirelessly is that your Bluetooth device (i.e., iPhone) can be in your bag or pocket and you can control the playback all from touching the buttons on the headphones. You can adjust the volume, pause, play, go forward, back, etc. You can even hold down the button on the left ear cup to bring up Siri, make a call or answer a call. The playing music will fade out automatically and fade back in when you are done. The AG-GC20s has an internal rechargeable battery that you charge up using an included micro USB cable. Use any USB charger or your computer to charge it. The internal battery on the Denon’s seems to last quite a while (about 20 hours) on a charge and only takes about 2 hours to fully charge up. The Verdict? Equipped with large 40mm professionally tuned drivers, the AH-GC20 delivers a natural tonal balance free from exaggerated colorations. It’s active noise cancellation technology is superb and blocks out ambient noise very effectively 99% of the time. The AH-GC20s have very good sound quality, staging and emphasized bass response, delivering impressive sound performance. They are easily one of the best headphones ever made and we highly recommend these if you prefer headphones which are on the bass-heavy side. The Sennheiser HD 4.40 is one of the best headphones you can find that delivers exceptionally clear sound quality with a comfortable closed-back design. The headphone itself features Sennheiser’s prorprietary acoustic drivers that deliver well-balanced midranges with detailed sound clarity and dynamic bass response. It features Bluetooth 4.0 and aptX wireless streaming for consistent music clarity and hassle-free pairing to your Bluetooth smartphone devices. The headphone itself is designed to be minimalistic with a foldable headband and comes with intuitive ear-cup mounted controls for changing soundtracks and making calls via the integrated microphone. We liked the fact that these headphones come with a stunning 25 hour battery life and also supports battery-free listening via the included auxiliary cable. Overall, the Sennheiser HD 4.40s are some of the best headphones we have tested that feels very comfortable to wear and delivers superb sound performance at any volume level. The sound quality from the Sennheiser HD 4.40 Bluetooth headphones is excellent and rivals that of higher-end headphones in this category. They deliver superb crisp highs, full-range mids and deep bass response that hits hard. We also noticed that the HD 4.40s have plenty of soundstage and good stereo separation which allows you to feel where each individual note is coming from while listening to your favorite soundtracks. Instrumental performances and vocals sounded not only crystal clear but spacious – you get the feeling that you are sitting inside a concert hall while listening to these music genres. The highs and treble ranges are distinctly reproduced without any harshness – even at higher volume levels they sound clear and refined. The bass on the HD 4.40 hits hard and has nice impact, especially for bass-heavy music genres such as electronic dance music and rock and pop. The bass does not sound muddy or overwhelming – it stays where it should be as bass and does not sound over-emphasized. In terms of sound quality, the Sennheiser HD 4.40 really does deliver great sound performance that feels measured and well-balanced without emphasizing one frequency range over another. The Sennheiser HD 4.40s have a really solid and durable construction with a minimalist outlook. We particularly liked the fact that these headphones are noise isolating and really do the job of keeping outside ambient background noises from entering the headphone. This allows you to enjoy musical soundtracks without any interruptions. While they do not have the most premium construction, it works well for most portable listening applications or for casual home listening. They are really comfortable headphones to wear and come with soft leatherette covered ear padding that feels soft over the ears and prevents ear fatigue after prolonged listening. The Sennheiser HD 4.40s come with intuitive ear-cup mounted controls which allow you to adjust the volume, change soundtracks and take incoming calls through the microphone without having to use your mobile device. It also comes with side-swivelling ear cups with a foldable headband design that allows the headphones to be stored compactly inside the included protective case. The headphone uses advanced Bluetooth connectivity with NFC pairing for instantaneous music pairing with the last paired mobile device. The battery life on the HD 4.40s is really good and lasts up to 25 hours on a single charge, which is more than adequate for travelling. The Verdict? The Sennheiser HD 4.40s are some of the best headphones we have tested that deliver top-notch sound performance with great Bluetooth streaming. The headphones feature Bluetooth 4.0 with aptX wireless streaming for consistent and stable sound quality. The acoustic drivers on the HD 4.40s have a wide frequency response between 18 Hz to 22 kHz and deliver crisp highs, smooth midranges and good bass response. It produces sound quality that feels spacious with plenty of soundstage and detail – vocal and instrumental performances sounded very clear and vibrant through these headphones. You can also crank up the volume on the HD 4.40s without hearing any distortion which is great. The headphone itself is very durable and well-constructed with side-swivelling ear cups with a foldable headband design for easy portability. It comes with a good battery life that delivers up to 25 hours of continuous music playtime on a single charge. They are also very comfortable to wear with plush soft ear padding which makes them great for long hours of listening. Overall, the Sennheiser HD 4.40s are some of the best headphones we have tested and come highly recommended. 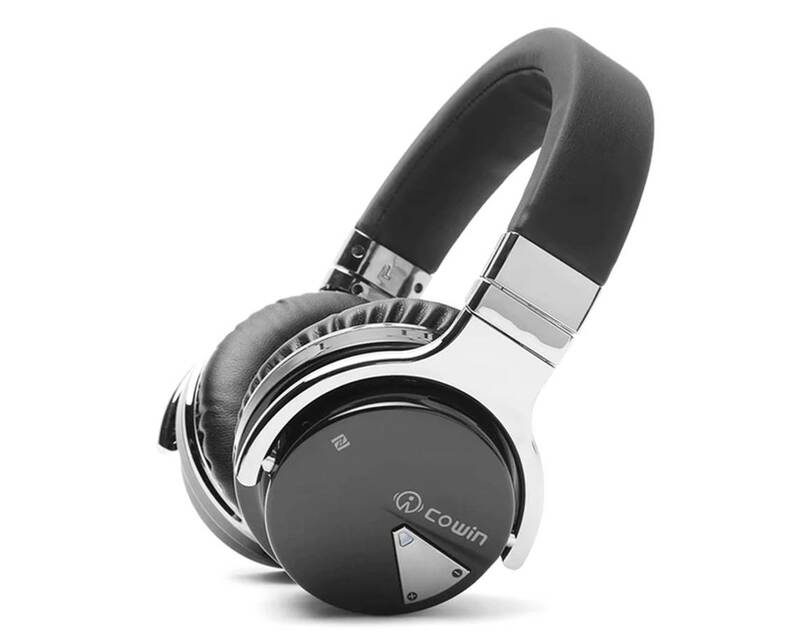 The Cowin E7 one of the best headphones you can find on a budget with noise cancellation and good sound quality. These headphones have superb active noise cancellation and 30 hours of continuous music playtime on Bluetooth mode. 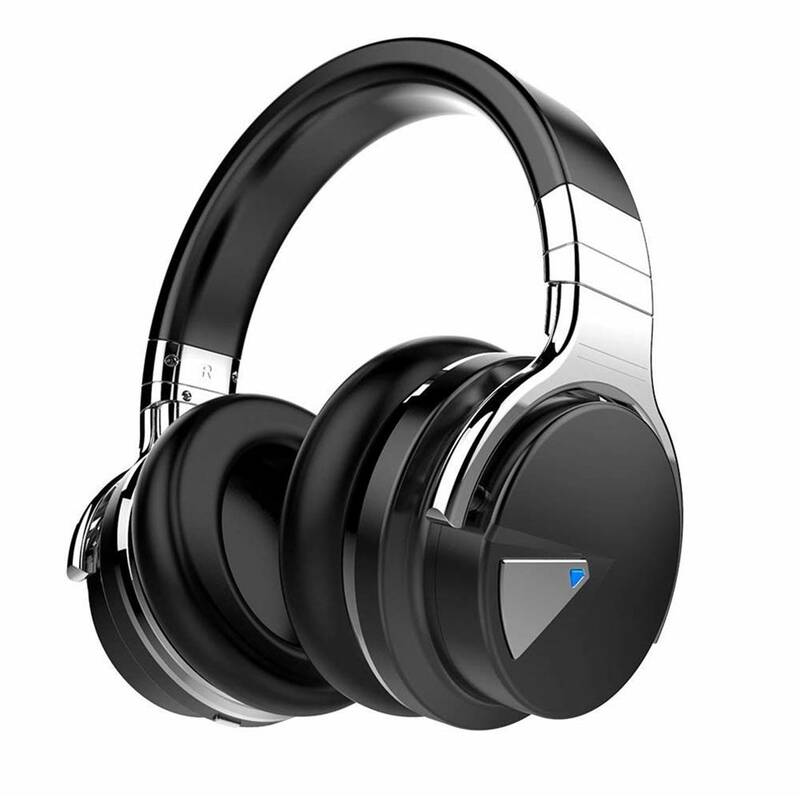 It comes with active noise cancellation technology which significantly reduces airplane cabin noise, traffic noise or loud conversations in busy offices for quiet listening. The noise cancellation mode works in both wired and wireless mode. It also features proprietary 40mm large-aperture drivers that deliver really deep and accurate bass response and crisp vocal performances. It also comes with a built-in microphone with NFC technology for you to take hands free calls directly from your mobile device. Furthermore, the Cowin E7 is capable of delivering a whopping 30 hours of continuous music playtime with a built-in 600mAh battery which is great if you want to listen to these headphones while travelling on the plane or at work. The headphone also features advanced Bluetooth 4.0 for high quality music streaming. Overall, the Cowin E7s are some of the best headphones that deliver crisp sound performance on a budget and come highly recommended. The Verdict? The Cowin E7s are some of the best headphones you can find that delivers a really good combination of sound quality, portable design and active noise reduction. We liked the fact that these headphones can deliver a good 30 hours of continuous music playtime on a single charge; it also comes with Bluetooth 4.0 and NFC compatibility for high quality music streaming. The active noise cancellation works very well to cancel background noise and does not produce any static noise while activated. The headphones are very comfortable to wear and are perfect for frequent air travellers or to reduce noises in an office environment. The 40mm drivers produce clean bass and crisp treble ranges – it has an impedance of 32 ohms and a frequency range of 20Hz to 20kHz which is pretty broad. The headphones are capable of producing very detailed sound performance and are compatible with virtually any Bluetooth enabled device including smartphones, tablets or laptops. Overall, the Cowin E7s are one of the best headphones we have tested on a budget and we highly recommend them. The Sennheiser HD 8s are one of the best headphones with legendary sound quality combined with high SPL capability (115dB). These headphones are designed to deliver excellent sound quality with slightly extended bass, clearer highs and distinct tones. They are equipped with 95 ohm drivers for optimal sound quality and will require a dedicated amplifier to drive them. The HD 8s feature an elliptical circumaural over-ear closed back design that delivers maximum comfort while isolating ambient background noise in noisy environments. The headphone contains numerous critical components that are machined from metal for durability to provide the best sound listening experience. The ear cups also have the capability to swivel up to 210 degrees and supports single-sided listening. It also comes with single-sided cables both coiled and straight with a nice length of 3m that can be attached to either ear cup. 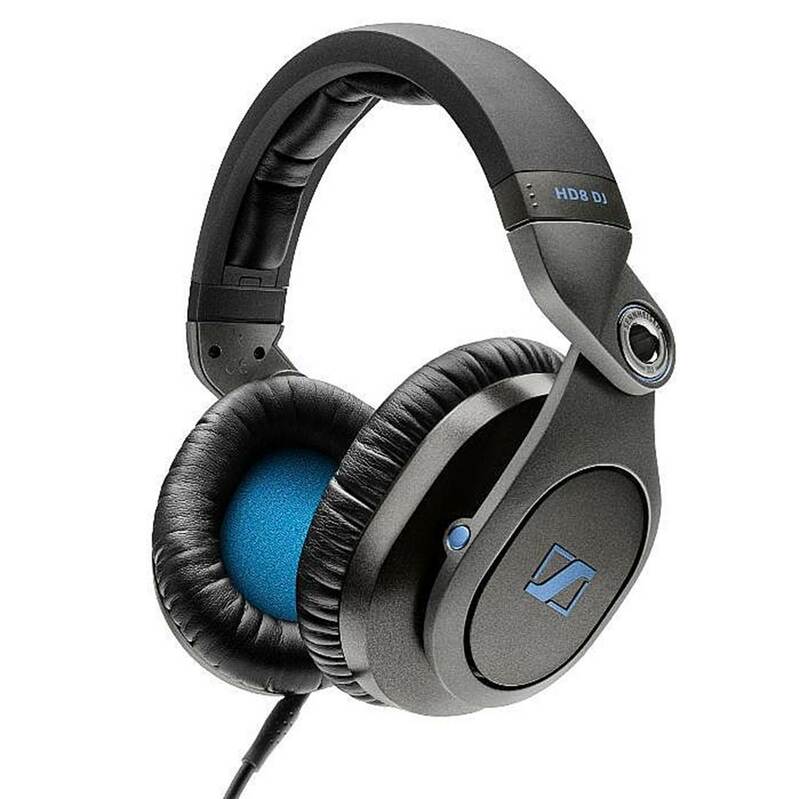 If you are looking for a top of the line headphone for professional DJ monitoring, the Sennheiser HD 8 is definitely among the best headphones you can get. The Sennheiser HD 8s have excellent sound reproduction with extended highs and deep low-end bass response. They have the sound quality you need if you are in sound engineering or for professional DJ monitoring. The sound quality is consistent and clear across the audio spectrum – you get really nice punchy lows that add a good kick to the music, crystal clear highs and detailed midrange. You can also crank up the volume on the HD8s without any distortion which is excellent. The highs are crisp and well defined and never come across as harsh. The sound isolation on the HD 8s is also very impressive and effectively blocks out external noise which is practically a must for DJ headphones. They have very high audio fidelity and will be able to pick up the subtle details in the music and reproduce them distinct clarity. We liked how powerful and punchy electronic dance music sounded through these cans; you can really feel the bass response and it hits hard without muddying into the midrange frequencies. Classical and instrumental music sounded surprisingly good with subtle detail reproduction and nice musical separation; the highs and treble have a nice sparkle to them which makes the very enjoyable to listen to. Overall, the HD 8s have some of the best sound quality that we ever heard from a pair of DJ headphones but do note that they will require amplification in order to get the best sound out of them. The Sennheiser HD 8s have a very solid and durable construction that looks like it can withstand a lot of abuse. The headphones are made of metal and a high quality plastic in the headband; the bearing that connects the headphone to the headband produces a nice click when selecting one of three adjustable positions. The ear cups can swivel side-to-side which helps to isolate noise and provide a secure fit around the ears. The ear cups have a forward angle that help with comfort and exert less pressure on the ears for prolonged listening. The ear cups are lined with soft cushion material that feel really nice and comfy when worn over the ears. We also liked the fact that the headphone come with single-sided cables both coiled and straight and of 3m length which gives you plenty of room for manoeuvrability. It also comes with a nice protective case which you can use for easy portability. They have a very aesthetically appealing design and look really sleek when worn on the head for DJ sessions or just for causal listening. The Verdict? The Sennheiser HD 8s are without a doubt one of the best headphones that produce phenomenal music and sound quality. The mixture of bass and highs that you get with these headphones is simply off the charts punchy and crisp. They have a really fun sound signature which makes electronic dance music and bass-heavy music gernes really shine and come to live. They are also great for professional DJ monitoring and will be able to pick up most details in the music without sounding neutral. These cans can produce plenty of volume without any distortion and provide great sound isolation so you can DJ even in noisy environments. It is built for durability and even comes with a resonance-absorbing frame and circumaural ear pads that feel very smooth and comfortable to wear for extended periods of time. The acoustic drivers on these cans have an impedance of 95 ohms which requires dedicated amplification for optimal sound. The HD 8s are hands down some of the best headphones you can find now selling at a very good price, so don’t forget to check them out! The Beyerdynamic DT 990 PRO are some of the best headphones designed for spacious and studio-like sound reproduction. The headphone is most suitably used in a studio setting in order to maximize their transparent, clear sound, as well as their above average stereo imaging characteristics. The DT 990 PRO have an emphasis on the low and high ends, and are capable of delivering very good sound quality with dynamic soundstage. It comes with a comfortable design characterized by the replaceable circular velour ear pads that allows for long periods of listening without causing any ear fatigue. These headphones feature German craftsmanship and attention to detail which enhance the resiliency and durability of the headphones. They are also designed to be lightweight, and are ideal for professional mixing, mastering and editing. It also comes with a practical single-sided 3.0m coiled cable for connectivity. If you are looking for some of the best headphones that deliver good sound quality and comfort, the Beyerdynamic DT 990 PROs come highly recommended. The DT 990 PROs are a solid pair of headphones with excellent stereo imaging, clarity and a good, well-balanced frequency response. The bass is a strong element in this equation being slightly emphasized and not compromising dynamics. For an open-back design, the bass definitely gets bonus points as it is prominent without being overpowering. You should avoid making early judgements regarding the bass levels of this product, as it typically requires 8 to 10 hours of usage to ‘break in’, reducing any kind of muddiness in the low-end. The midrange frequencies have a lot of detail and definition to them, but they do not stand out compared to the neighbouring lows and highs. The high end is very clear, with good precision, quality and great extension. Depending on what you listen through them, they may become slightly piercing or tiring. This heavily depends on the sound source, as, for example, hard rock and metal music contain way more high frequency content compared to jazz. For this pair of headphones, the clear stand-out points are the accuracy in representing the stereo field, the spaciousness, transparency and details. Those ensure an authentic listening experience, without degrading or enhancing any elements and are presenting very accurate depictions of the recording. The DT 990 PROs are over-ear headphones with an open-back design and made out of ABS plastic for durability. The DT 990 PRO are very light and the velour ear pads along with faux leather padded headband offer that additional level of comfort, making those headphones a favourite for both quick and long listening sessions. The audio cable has a very simple coiled design with a basic strain relief, ending in an 1/8in TRS connector, with a screw-on 1/4in jack provided. Due to their high impedance and relatively low efficiency, the DT 990 PROs should not be used with portable devices that have low audio outputs, as getting the signal to an enjoyable level will add significant clipping and distortion. We would recommend using a headphone amplifier such as the FiiO E17 when listening through those headphones. 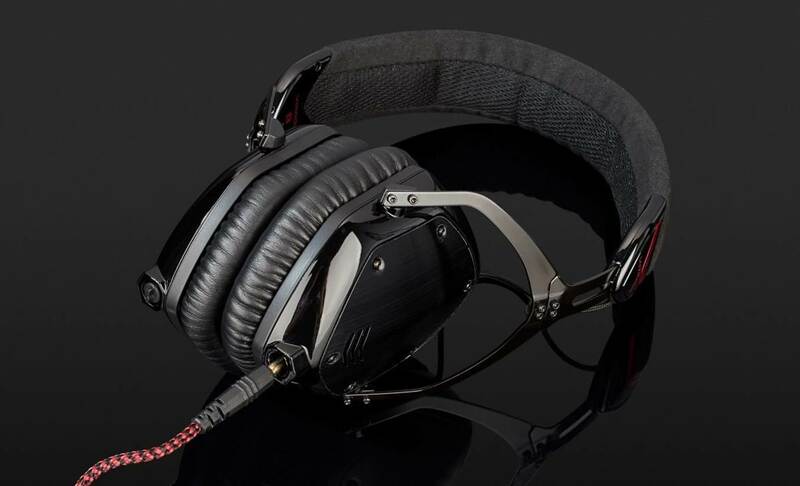 The DT 990 PROs come with a robust spring steel headband which provides a comfortable fit for the listener, and features soft adjustable ear cups for added comfort. The single-sided cable allows the DT 990 PRO to be put on and taken off easily. The Verdict? The Beyerdynamic DT 990 PRO are some of the best headphones for any producer or editor who wishes to have an accurate representation of the recordings and audio soundtracks. The DT 990 PRO headphones provide really good spaciousness and finely graduated tonal depth – it has a mild bass and treble boost functionality which provides a crisp listening experience. As the headphones do not enhance or degrade anything from the sounds that are played, they are ideal for mixing, editing and mastering. The headphone can also pick up small changes in the positioning of the acoustic sources which can be perceived in the stereo imaging with graduated tonal depth. The headphone also has a very lightweight and robust spring steel headband which ensures and comfortable and secure fit. We liked the fact that it comes with soft and adjustable ear cups to relieve ear fatigue after prolonged periods of wearing. 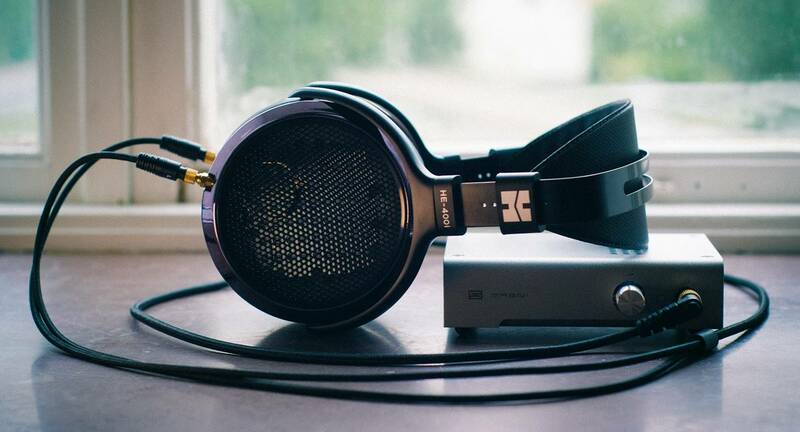 Overall, the DT 990 PRO are some of the best headphones that provides spacious sound performance and soundstage, and we highly recommend them for both musicians and causal listeners. The Bowers & Wilkins P7 are quality headphones designed for those who prefer a more fun sound signature with punchy beats and tight bass. These high-end headphones are capable of adding a nice kick to bass-heavy music genres such as dubstep, electronic dance music and techno while maintain the consistency and clarity with classical music or vocal performances. The P7 headphones are equipped with headphone drivers that perform more like a hi-fi speaker with a diaphragm for focused sound quality and good separation. The P7s come with a dual cavity cushion design that ergonomically fits around your head for a comfortable listening experience by putting a consistent volume of air in between the driver unit and your ears. They also feature a pretty durable construction with solid metal hinges on each side and are foldable for portability. The sound quality on the P7 headphones is optimized to sound livelier and more fun with a frequency range between 10 Hz to 20 kHz. If you are looking for one of the best headphones that can deliver great sound for any music genre with a richer and fun sound signature, the P7 headphones are the way to go. The Verdict? 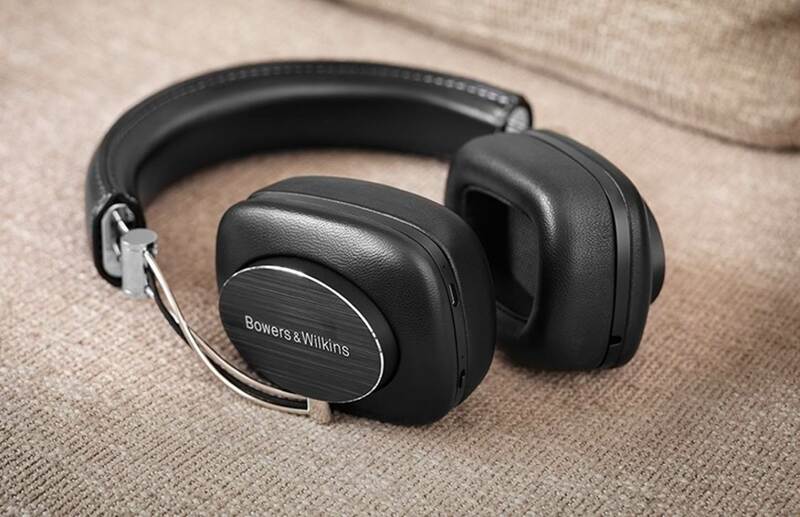 The Bowers & Wilkins P7 headphone are designed for those who enjoy and richer and more fun sound signature in a comfortable setting. The sound signature of the P7 headphones is uniquely playful, with rich and vibrant midranges, detailed highs and good bass response. These are not neutral sounding headphones but can deliver really punchy and enjoyable beats for bass-heavy music genres such as electronic and trance genres. Vocal performances are brought to the front and are more forward sounding with crisp highs and timbre ranges. The P7 headphones are equipped with Hi-Fi driver units and designed like a hi-fi speaker with detailed soundstage and some spatial imaging. The P7 headphones also have top-notch quality construction with solid metal hinges on each side above the ear cups. The ear pads are made from authentic sheep leather and feel very comfortable on the ears – it also has a good degree of noise isolation which helps to keep out background noises while listening to these headphones. Overall, the P7 headphones deliver quality sound performance and a vibrant sound signature in a comfortable setting and are worth a closer look. 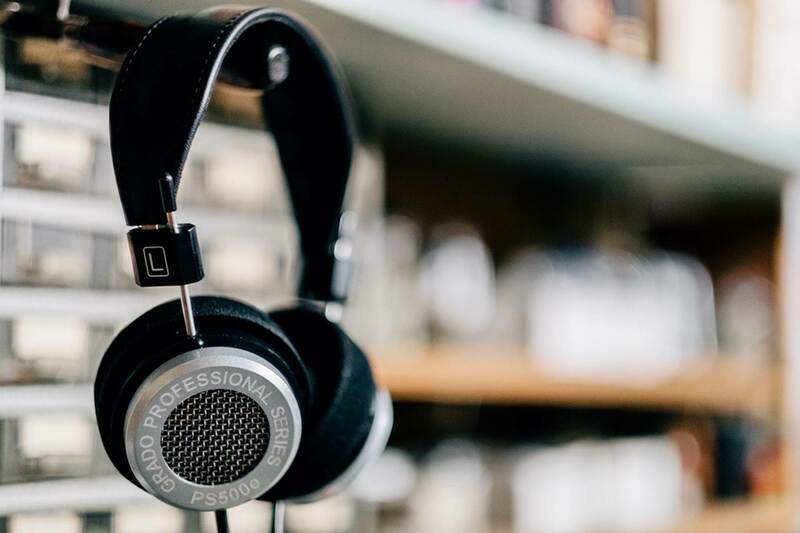 Grado headphones are all about the crisp highs and midrange sound performance, and the Grado PS500e are not exception. The PS500e headphones are essentially audiophile headphones designed for professional musicians to clearly hear every single detail in the music, and are the younger brother to the PS1000e headphones. These high-fidelity headphones come with redesigned 4mm speaker drivers and a metal and wood hybrid air chamber for silky smooth highs and sound reproduction. It also comes with an improve 8” conductor cable design. 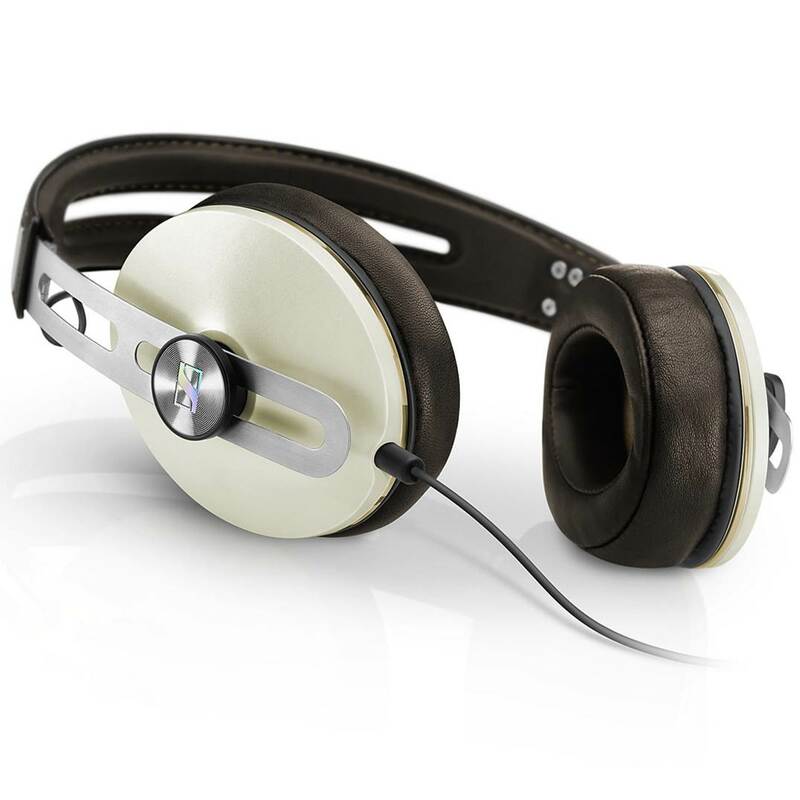 The headphones have a hidden mahogany core and powder-coated aluminium housing parts which reduce sound resonances through the headphones for an undistorted music signal. The PS500e headphones have harmonic colors, full-bodied vocals and an ultra-smooth high end sound reproduction with its signature Grado sound performance. They work best as professional monitor headphones for musicians, although their sound signature is really sweet to listen to for music lovers alike. 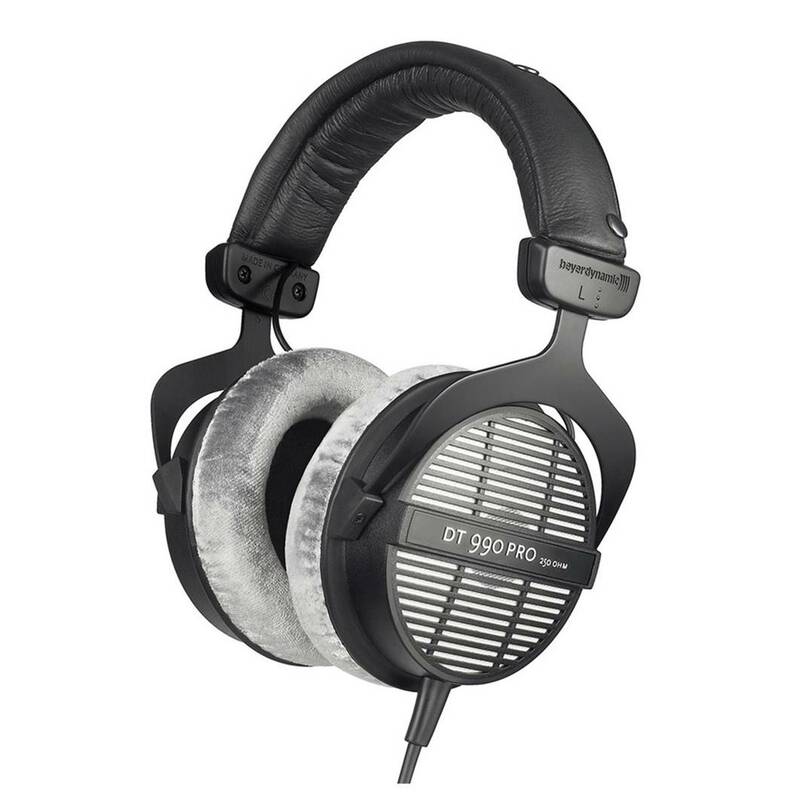 If you are looking for one of the best headphones that can really deliver on signature Grado sound quality with detailed textures, the PS500e headphones are the ones to get. For a long time, the Grado PS500e audiophile headphones have been used by professional musicians for monitoring – and they have consistently exceeded expectations. The headphones have spatial and dynamic imaging that instantly projects you into the core of the music – listening to the PS500e sounds as though we were sitting in a real life concert hall. Every single detail in the music, especially the highs and the mids, are brought forward for you to closely appreciate every single instrumental note that comes through. The soundstage and separation from the PS500e is simply incredibly for a pair of closed-back headphones. It also comes with a hidden mahogany core and powder-coated aluminium housing parts which help to reduce sound resonance for distortion-free sound performance. They are a set of headphones capable of producing rich harmonic colors, excellent vocals and ultra-smooth highs and timbre ranges. They are some of the best headphones suited for those who want appreciate the finer details in classical and instrumental music and are perfect for musicians who want to listening to every single detail in their recording. The Master and Dynamic MH40B1s are some of the best headphones that deliver high-fidelity sound performance with very good transparency and pristine clarity. 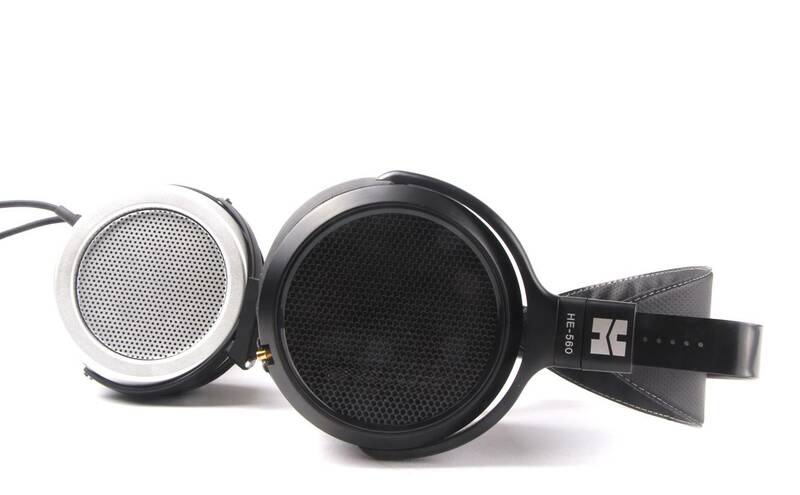 The MH40 headphones come equipped with 45mm neodymium drivers that deliver natural and detailed love sound performance and can practically expose any flaws in the audio recording. The headphones are tuned to provide great sound across a wide range of music genres and should also be amped for best sound performance. These headphones look luxurious at every angle and are designed with quality materials including premium leather, stainless steel and aluminium for a classy appearance. It is also fitted with lambskin ear pads which rest softly on the ears and prevent ear fatigue after prolonged periods of wearing. 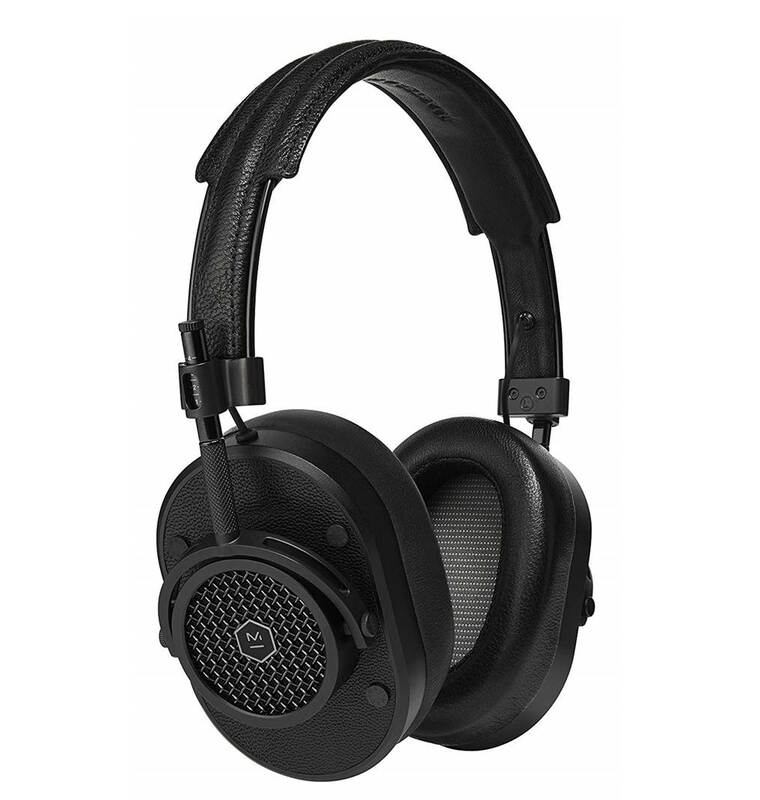 The headphones itself is quite lightweight with a forged aluminium body and the cans are designed to be noise isolating to keep out background noises from entering. It also comes with an easily accessible mute button and interchangeable ear pads for convenience. Overall, the MH40s are one of the best headphones designed for those who enjoy listening to the texture and subtle notes in their music and are great for instrumental soundtracks. The Verdict? 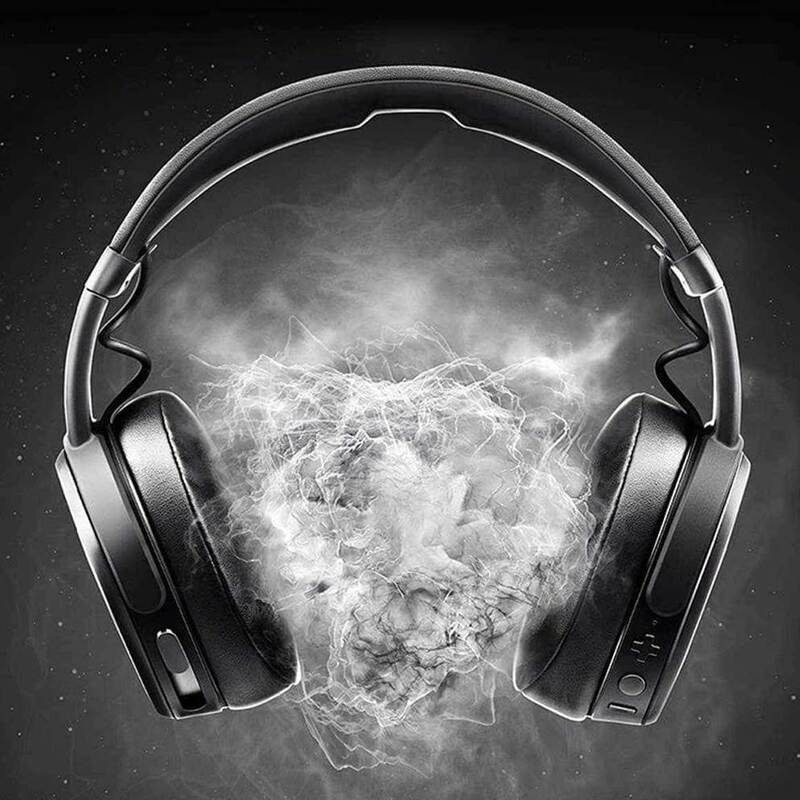 The Master and Dynamic MH40 headphones provide an impressive combination of sound clarity, comfort and aesthetics. While Master & Dynamic is certainly a new comer to the headphone game, they produce really quality products that deserve special mention. The MH40 looks and feels premium from the beginning, and are made of aluminium and steel for a comfortable fit. The soft lambskin ear pads are a vital factor to making these headphones so comfortable to wear for extended periods of time and provide relatively good noise isolation. Where the MH40 headphones shines is in its sound clarity and transparency – you would be able to pick up all the details in the audio recording and particularly for vocal and instrumental soundtracks. They excel at providing crisp highs and smooth timbre ranges. The sound signature of these headphones leans more towards the darker side. While the soundstage of the MH40 is pretty good, it is not as good as the Sennheiser HD 800s due to its closed-back design. That being said, we were very impressed with the immersive and rich sound quality from the MH40 headphones. We definitely recommend these best headphones if you are into the classical or instrumental music-genres with great texture details and crisp vocals. 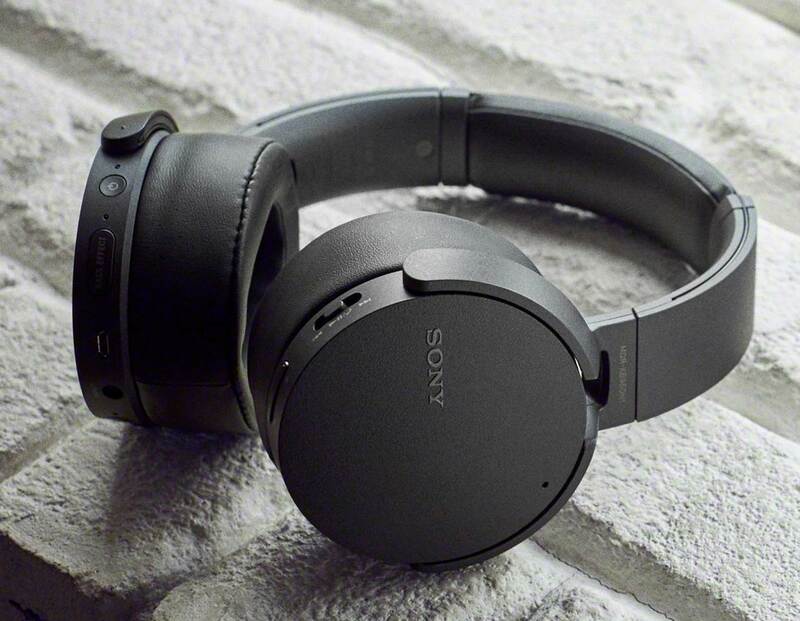 The Sony XB950N1 Bluetooth have a reputation for solid bass performance and are one of the best headphones you can find. These headphones allow you to stream music wirelessly from your mobile device and also have pretty good active noise cancellation for a relaxing listening experience. The XB950N1s are geared towards extra bass production – if you love bass heavy music genres including electronic dance music, pop and hip-hop, these headphones are definitely for you. It comes with NFC Bluetooth streaming for automatic connection to your mobile device and LDAC. We liked the fact that you can also adjust your sound settings with the Sony Connect app. The headphones are designed to produce full-range frequency response and also come equipped with enough battery life for you to listen to music for hours on end. The XB950N1s also support both wired and wireless music modes and you can switch between them if the battery power has run low. 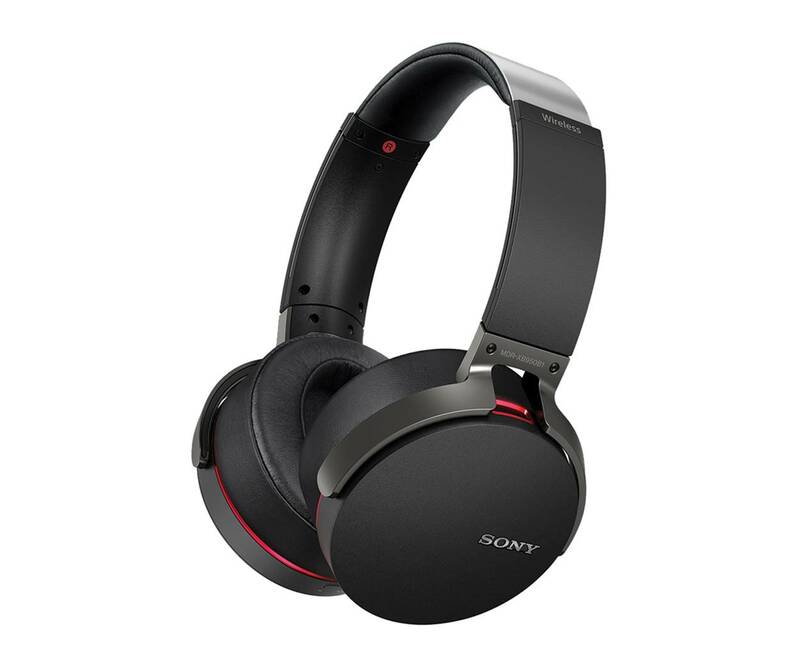 Overall, the Sony XB950N1s are some of the best headphones with really powerful bass response and are ideal for music lovers that want more bass with their music. The Verdict? The Sony XB950N1s are built for solid bass performance and deliver really good noise cancellation. It comes with Bluetooth 4.0 for you to stream music wirelessly to the headphones directly from your mobile device, and supports NFC connectivity for automatic connectivity. The active noise cancellation works like a charm and can block out most ambient background noises and reduce conversational sounds – this makes them really good if you need a set of headphones to focus on your work. The headphones are very comfortable to wear with soft, thick padding that goes around the ear. It also comes with nice buttons on the side for you to pause, play or change soundtracks which makes it convenient to adjust the sound settings. The sound quality that you get with these headphones is crisp and detailed – music performances sounded crystal clear, with great attention to detail. It also emphasizes the bass and lower-midrange frequencies which makes listening to bass-heavy music genres an enjoyable experience. Overall, it’s one of the best headphones that deliver really good sound performance for bass lovers and we highly recommend them.